Disclaimer: This post is in no way sponsored or paid for. It is not in partnership with anybody nor have I been asked to write it. 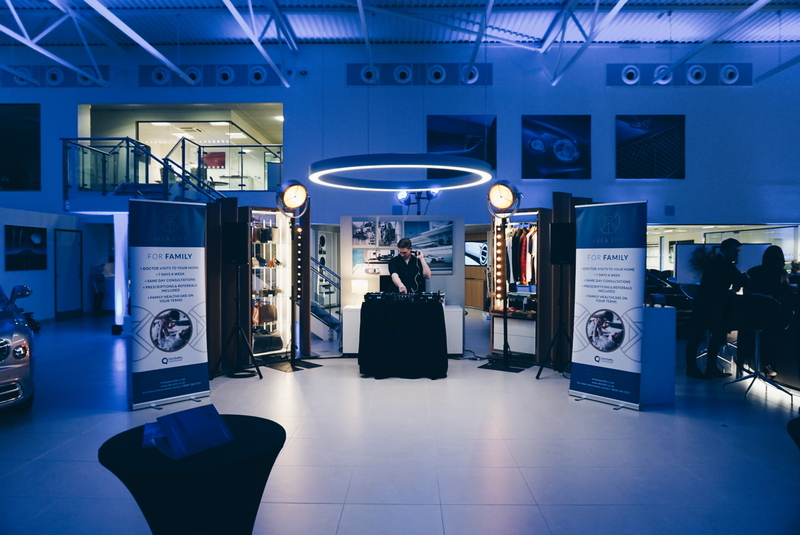 I attended an event with the company and genuinely thought this was something that you may be interested in. Words & pictures are 100% my own. The actual reason for my attendance was to celebrate the first birthday of Akea Life, a private doctors service. Following a little bicker between my mum and I a couple of weeks ago over picking up a prescription, I could not wait to find out more about this seemingly heaven sent service. 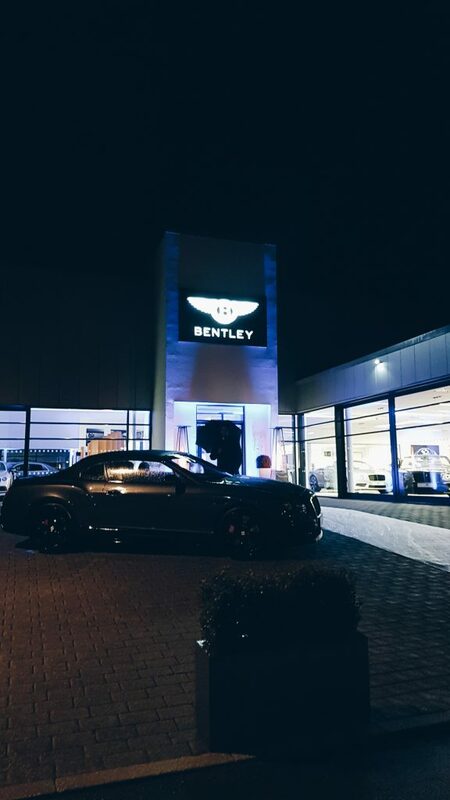 Now, like myself, you may be wondering why on earth a first birthday celebration of a private doctors service would take place at Bentley Motors in Knutsford. 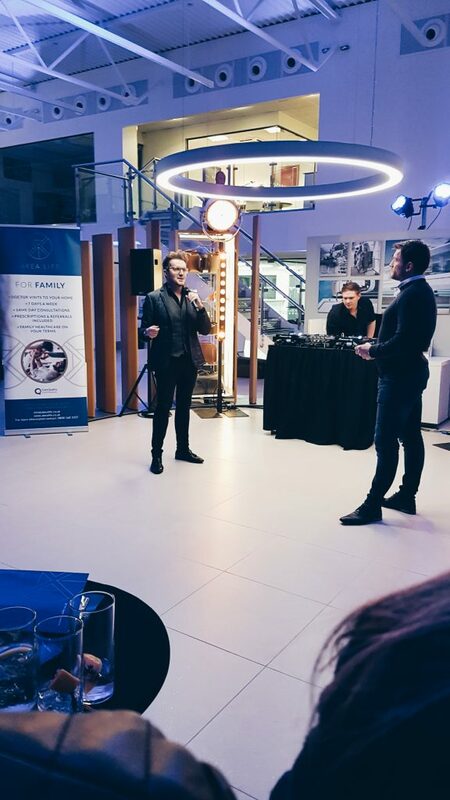 Well, part way through the course of the evening, when Ben Paglia (Director of Akea Life) and Mark Cueto (Brand Ambassador & Managing Director of Akea Life) took to the microphone to introduce the company and the concept it made total sense. “When you buy something, you want to buy the best version possible”. It doesn’t even need explaining does it. The goal of Akea Life is to be the most premium and convenient version of the product out there. 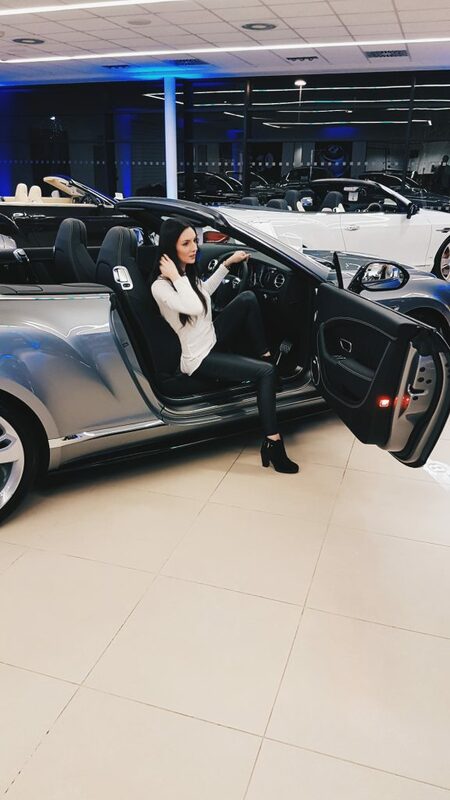 I’d certainly say Bentley cars are pretty premium, wouldn’t you?! Ergo, am appropriate setting for the celebration. Snaps for the location choice. Now, don’t worry, I’ve no interest in just regurgitating their words and throwing statistics at you (however, if you want to know their areas of operation, how many patients they have, their opening hours, brief overview of plans for the next year etc. just let me know in the comments), I simply want to share with you the parts that stood out to me because they may actually be of interest to you. Mark opened the speech with a story the majority of us can relate to; at least the latter half of the story anyway! Mark, being an ex-professional rugby player for Sale Sharks obviously had many visits with the doctors throughout his career but never had to wait for an appointment, never had to take time off work to see the doctor nor faff about waiting for prescriptions – basically it was never really an inconvenience for him. At least, not until he stopped playing anyway and (here’s the part most of us can relate to) now, he has to ring his doctor 80 times just to get through to the receptionist, then has to bend over backwards to attend an appointment at the doctors’ convenience, usually in a couple of weeks’ time. Which I’m sure you will all agree, is frankly a ridiculous system. Correct me if I’m wrong but when you request an appointment with a doctor, it is usually due to illness or a health concern to which a 2 week wait is productive to nobody. Hence why Mark got on board with Akea Life, where the doctors attend your home at your convenience. 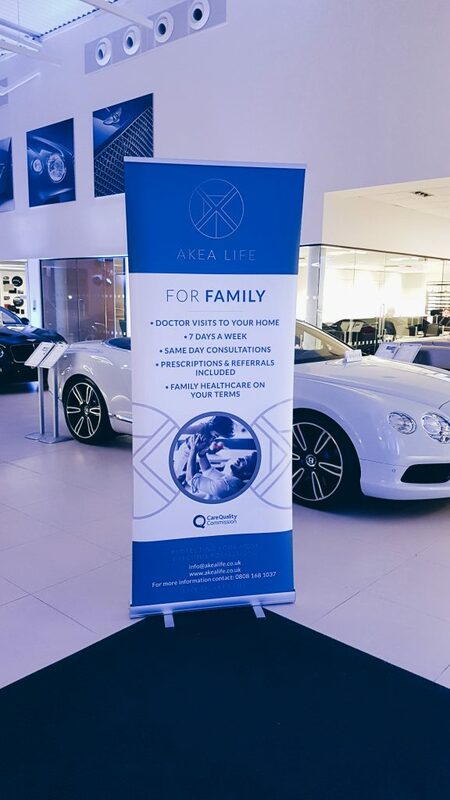 Prior to attending the event I hadn’t realised that the doctors at Akea Life actually come to your door! How amazing is that!? I was under the impression that they were an online doctor service. Which, though sounds good in principle, I was sceptical about, I mean, at the end of the appointment the chances are they are going to inform you that you need to physically go see a doctor – useful. Correct me if I’m wrong but when you request an appointment with a doctor, it is usually due to illness or a health concern to which a 2 week wait is productive to nobody. With an entrepreneurial head on, I was also wondering where on earth he came up with the name Akea Life and why. (Which by the way, is pronounced a-kay-a not a-key-a as I had been saying!) Whilst my question didn’t go fully answered, (I still have no idea of why Akea or the meaning), I really appreciated that he didn’t go with a company name as obvious as ‘doctors-to-you’ for example, because it doesn’t truly convey the premium level of the service and I have to agree. A name a long the lines of ‘Doctors r Us’ just doesn’t have the same ring to it and seems a little too tacky for a high end service such as this. 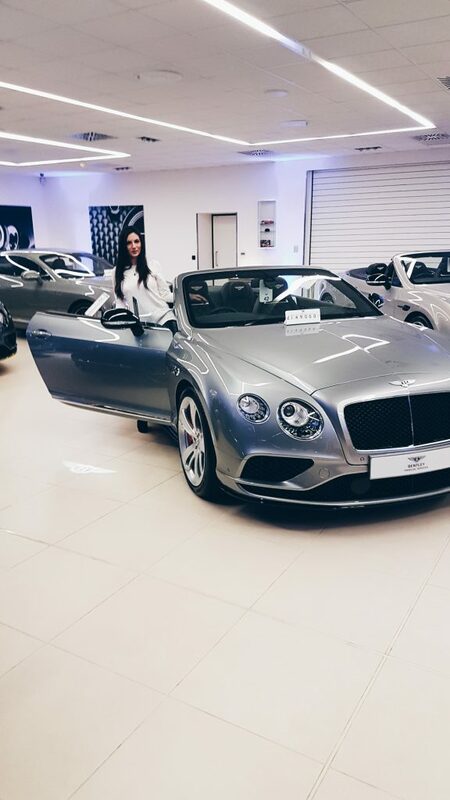 Health & Bentley’s – what more could you want? There was much more information given on the evening but like I said, I don’t want to bore you with product information (nobody likes to feel like they are being sold to and thay certainly isn’t my intention) but I was genuinely blown away by this concept and even more so when I saw that packages for a couple start at just £120 per month. Honestly, throughout the evening I was expexting membership to be closer to the thousands mark. 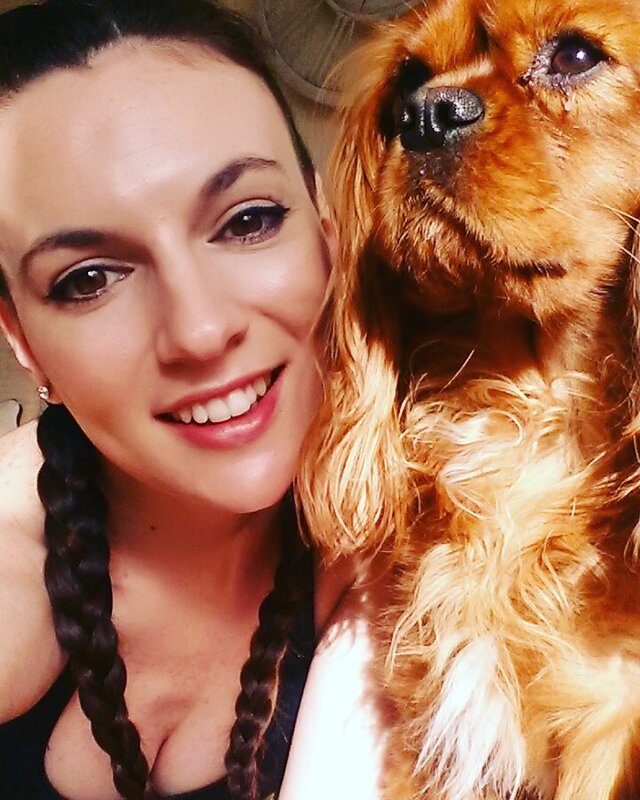 It’s a service that I am genuinely looking into signing up to and with Contour Allure being an active lifestyle blog, thought it may be of use to you too. Let me know if you want anymore information and I’ll be happy to help, other than that check out Akea Life. at an NHS practice, let alone private haha. Oh those cars are stunning, great location & their service sounds really good. I love this! I grew up abroad with private healthcare so the NHS was SUCH a shock to the system!